As a former teacher, I can say that the material covered is comprehensive and covers the many necessary areas as well as more subtle issues, including the important - exactly what to do for the first lesson! I found the course very useful and I learnt a lot. I found the course to be challenging, but well presented. I enjoyed the online format as it suits my busy lifestyle, and I feel more knowledgeable and better prepared for my future endeavors as a TEFL instructor. I'm very glad i chose to complete these modules/this course alone. I found them very informative and feel they are absolutely necessary before entering the classroom. I will continue to re-read over it again and again to gain a greater understanding of it all. I will definitely recommend this to teachers I know whom are currently overseas due to the fact I know it will benefit them and most importantly the children they are teaching. Everything went well, however I was not expecting to have to write a lesson plan to be assessed. But overall this was a really great course. Also very interesting. It was not boring to read, rather well put together and very organized. I referred my friend to this course and she likes it as well. This program has been the best by far, the lesson were very direct, easy too comprehend and very informational. This has been an great experience, I look forward to teaching English in other countries. Teflen Training College was an amazing way to complete this training. Each lesson was incredibly thorough, and my instructor was unbelievably prompt. I have no doubt that with the resources provided by this course I will be able to successfully teach English in the future. Enjoyed how to course was structured in relation to freedom on when to study and when to take the tests. I would recommend this course to others as it's easy to access and can be studied anywhere. It is wonderful to learn online. The online format makes it possible for me to fit in learning TEFL between other things I have to do for that day or week. I am really excited about going to foreign countries to teach English. I can't think of when I have been so happy about something. Thank you to my trainer, who helped me a lot by explaining things which I asked about, and so quickly and thoroughly, too. Thank you for this wonderful class. Excellent course. Well designed graphically. Easy to use, i.e. user friendly. In depth, practical academic lessons certain to improve the skills of any English teacher. Thank you. I would definitely recommend this course to others. I think that the resources provided, particularly the notes on grammar, were of a very high standard. I know that I will use the course notes in the future! This course was very helpful and so was my instructor. I found the course easy to follow and it was a great experience. I Learned a great deal and feel very well equipped to go out and teach prospective students. I was very impressed with how promptly my trainer checked my assignment. This has been a very good course; simple and enjoyable to work through with information presented clearly and concisely. 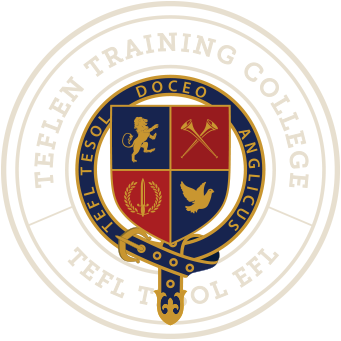 I am impressed with teflen college its been a pleasure to do my training in my own time and complete my modules as well as succeed well in my tests. I was looking for a fast TEFL certificate and that is exactly what I got. I was very pleased with the clear and precise criticism of my lesson plan. I was easily able to see my mistakes. Thank you. I searched for many different websites that provide TEFL certificates and only decided to opt for it after a friend recommended this one to me. Althought, I had my doubts, I found the entire course and especially course document format incredibly easy to have on a PC, tablet or any other device, which made it so easy to read anywhere. As I did my reading a great deal in the school's office between breaks, some information turned up to have immediate use in my classes (especially when it came to dividing lesson objective considering one of the skills) Overall, very satisfied with the clear information, examples and content layout. Course was great! Studying online made it easy for me because of work. My trainer was fantastic, gave really good feedback. Would recommend for anyone looking to study TESOL or TEFL. Great course overall, was very happy with the information provided. I have already recommend the course. The layout and structure of this course made it very easy to follow. I also found it useful to download the modules. This course was informative on theory and foundation knowledge of basics skills to teach English as a second or foreign language. The online format was helpful in terms of you are allowed to focus only on the material and take your own time without other distractions. The course was both informative and interesting. I thoroughly enjoyed it. I had to complete this training as it is required for my job at Englishtown. It was fairly easy for me as I am also an elementary language arts teacher. This format was very easy to follow. It was easy to follow and the instructions are very clear, made my life easier by doing this online. My overall rating of this course is excellent. I would recommend this to everyone as I have had not one single problem whilst doing this course, everything was easily explained and I could follow with ease. I thoroughly enjoyed this class and look forward to applying it to my future. I love the flexibility of Teflen. I was able to take the course in the time frame that fit my life. It is material that I will be able to rely on in the future, in the classroom. The course was enjoyable to follow, I knew that if i did ever need help there was someone to assist me. Thank you. I have already recommended your course and you now have another student. My trainer vas very helpful when I made requests. Navigating the course took a little time to work out. I had printed the course notes and worked from them as oppose to reading on the screen. Overall a good course and very practical. This online program was very suitable for me to take since I already have a job. I really enjoyed the time I took with this online TESOL program. i am satisfied with my learning experience, the learning material and the assistance coming from my trainer was exceptional. Thank you kindly. I really enjoyed the course! Easy to follow and very accessible online or offline format. Loved it. Thanks so much! I have been impressed with this experience of study through Teflen and very grateful to my Trainer for help when needed ie. an extension. The material and format have been excellent. Thank you. If I had questions or needed something marked my trainer was very quick to get it done. This made me feel that I was being taken seriously and that my trainer really was there to guide me. I really appreciate the advise given and the time spent elaborating where needed. My experience with Teflen Training College went very well. The materials that were provided for each module was very informative. It was explained in a way that was easy to comprehend and follow. The time that was allotted for me to complete the course was appropriate but being able to study at my own pace allowed me to complete it in less time than was allotted. I would recommend this college to any of my friends who were interested in TESL or TEFL. The feedback that my trainer gave on my work, especially my Lesson Plan was invaluable. This was an excellent program!! I was very impressed with the course - it was clear, interesting and informative. I was also very impressed at the speed with which my trainer would reply to my messages, mark my assignment and the help he gave me in general. I will definitely be recommending this course! It has been a good learning experience, the course was quite informative though sometimes little challenging. The support from my instructor also has been good. I found it a good learning experience; having taught TEFL before helped, wish I knew some of the techniques back then! Great course! I really learned a lot. I found the course to be very thorough and comprehensive in scope. Alot of topics were covered in great depth which required dedication and focus to truly get the most out of this learning experience. I now feel fully equipped to teach English as a foreign language based on the information provided in this course. Great - pictures in content would have been nice. The course was fantastic, very user friendly, I will recommend it to all. This was a fine review of my TEFL skills. I needed to get a new certification for my new job, and this was the answer. Thanks! The course was well structured. I actually learn in several different ways myself, so sometimes it was a struggle to grasp some aspects of the course, however, I feel this will only be an advantage when teaching others. Enjoyed the course. Big Thank you to my trainer for his assistance with the lesson plan module. He was very pleasant, helpful and professional. I thoroughly enjoyed taking this course. I took the 40 hours and I accomplished it in a short period of time. I thought the content was quite relevant. I didn't utilize the trainer, per se, but I am sure he would have been quite helpful. Recommend! I found the learning experience provided by Teflen to be great. Having the materials online made it so I could study when I have time. The work was very easy to follow and I feel that I learned lots from it. I would definitely recommend Teflen to others! Well organised and easy to read material. Assessments related well with the material covered in the modules. I feel I'm now prepared to teach an EFL class. I have enjoyed this course very much and, although I have taught and had a lot of experience teaching in German in Germany, this course has been able to open possibilities for me that were undiscovered. Thanks to all and especially to my teacher. I have thoroughly enjoyed doing this course. I have already recommended the course to many of my friends. Thank you kindly, I will be taking the master course soon. I enjoyed completing and participating in the course, and hopefully it will open a wide variety of doors for my future. I found that the course was very easy to follow. I was pleasantly surprised by how quickly my teacher came back with in depth feedback and my results for the written assignment. I was also happy with the amount of time that I had to complete the course, Thank you. The master course was very informative and somewhat challenging. Overall I enjoyed this course and now look forward to putting my skills to good use. If you are unable to study in a class environment, I would recommend this course because of the trainers. They were helpful, interested and attentive- I would imagine that for people with no teaching experience they really could share useful insight, advice and perspective. Even though I didn't need much assistance, my trainer was fast to respond and provided the information with precision. The learning environment (website) is excellent and the fact that you can download the studying material is a great feature. I work and study and couldn't spend too much time logged in, plus my eyes are very sensitive to computer screens, so the fact that I could have the material at hand in my kindle and offline was something I appreciated. I have a cousin who also took this course and has already been to some Asian countries working thanks to Teflen. I can't wait to take advantage of this feature as well. I really liked the online format of the course as it allowed me study at my own pace. I felt that this allowed me to better grasp the material as I could spend as much time as I need to fully comprehend each section. Also, the time frame given to complete the course is very reasonable and didn't make me feel rushed. I felt more confident and reassured knowing that despite my busy schedule and not being able to study as often as I wished, I could come back and pick up where I left off. Overall, my experience with Teflen has been excellent. I really like that Teflen provides a download of their course. It makes studying more accessible, especially if I am in area with no internet access or their is maintenance occuring on the site. The information presented in the course is relevant and can be adapted to teaching any grade level. I really enjoyed taking this class online. Even though both of my degrees are in education, this class has helped me a lot in identifying some of the main points that I need to focus on in teaching students the correct grammar usage. This was a great course. Easy to understand what they were trying to get through. Excellent course! My trainer was great to deal with and really responsive. I would recommend the course to others in New Zealand. The lesson material was easy to follow, and I feel confident that I will be able to teach English effectively to others. I really enjoyed the program! Thanks for getting me on my way to teaching abroad! I was surprised at how quickly and effectively my trainer responded to my queries. He was very helpful and made the course manageable. Videos were good to watch. My tutor was very helpful when I wasn't able to upload module 4. I liked the 3 attempts, I would say it made it quite an easy course. It seems the grammar sections are always the hardest. A great and simple format to complete your ESL requirement. Thank you! Great Course, easy to follow and good overall information to use for my career. I am glad I chose Teflen College for my training. I'm already using the skills I learned from this course. Thank you. Was good, quick and concise. Would be helpful to have the program connect you to work placements more efficiently. I thought this was an interesting course. The most intense part was the grammar part. I read it a few times before I took the test. Other than that, this is a straight forward course that gives you all the information to become a successful TEFL teacher. For myself, the MASTERS COURSE 150 has been a fantastic experience to supplement both my University Masters and Undergraduate degrees. I elected TEFLEN based on its reputation and found the online correspondence format of learning, while vastly different, quite enjoyable. Courses were well structured and easy to navigate (often mirroring my university curriculum) and my trainer's feedback on assignments were valuable and promptly available. Very much looking forward to the application of knowledge that this course has provided me with. Thank you. This was a very fast and effective method to receive my certificate. I did the 150 hour master course. I currently teach a class where many of my students do not speak English as a first language and have been using the techniques taught in the course in my class with very good results. My trainer, was very helpful and always gave prompt replies to any questions I had. I would recommend this course to anyone who wants to teach English. Very convenient to do the course in the comfort of my home. My trainer was not really needed much, but it was nice to have the option. The course went well for me. I learned about teaching English, without it being too difficult or overwhelming. This was a good class. A fantastic layout. Clear and easy to understand directions! I love the sample lesson plans, it gives me more confidence to jump in! I really enjoyed the setup of this course material. Especially the grammar section. That was a beautiful refresher for me and it will help me teach my students more accurately. I really enjoyed the flow of the course. It wasn't too easy but at the same time, it wasn't over-demanding on my busy schedule, so that allowed me to complete it without having to put a strain on other responsibilities or activities. I would recommend to others. Easy, simple and fun! The online study format was very easy yet challenging so that the whole time I was studying (reading and taking the exams) I didn't bother to tap any help from my trainer as I was so engrossed in studying and learning on my own. In all, I had such a great time doing the Elementary Course. I found the course material easy to follow and read. It is well laid out and in logical sequence.The videos are an excellent learning tool as they help consolidate the lesson material. Thank you for your support during this course. I really appreciate this course as I'm going to China soon. I have to say the grammar sections were very hard to follow from just reading, but only because it's so complex and detailed. The content is very well formatted and again I'm thankful for the price of this course and the convenience of it as well. I would recommend Teflen Training College to my friends! The course was structured well and provided very useful information. It was clear, concise and highly beneficial. I found the course material very helpful and easy to follow. I trust I'll be referring back to it often when teaching English. My instructor responded quickly and thoroughly to any question I had and to grading my final assignment. I'd recommend teflen.com to any one looking to be TEFL certified. I enjoyed taking this course online. My trainer always responded to me quickly. I found the format clear and easy to follow. My trainer was timely and helpful. This course is very useful for those who wish to teach English as a foreign language. It covers content varying from theory to practice, especially the four skills; listening, speaking, reading and writing, that teachers need to know. The module on lesson planning is particularly important for to teachers to understand how to organize a lesson plan in order to teach effectively. I am college educated but not in education. I have been in the role of mentor and "educator" in my real world career for over 30 years and have always enjoyed imparting knowledge and training others as well as coaching others in athletic endeavors. I am looking forward to using this certificate as a way to provide financial support for my new life as a teacher of English to non-native speakers. I am grateful that TEFLEN has provided a way for me to gain this certificate on-line. This course is logically laid out and easy to follow. I personally "got after it" and even though it has been a while since I have had to study, I did so enthusiastically and realized my goal of not only completing the course in a timely manner, but attaining a final assessment of "A" in the process. Thank you! Teflen presents its course across to students in a professional manner and one would have to go far in the world to get a better place to study. The course material is presented in a manner that it is easy to grasp and understand with regards to both teachers and learners. I will feel much more confident at teaching English after having enrolled at Teflen than before I enrolled. I not only learned about grammar and English itself, but about teaching methodology; in other words how to actually teach English effectively. I would indeed recommend this college to anyone who has a passion to teach children anywhere in the world. One will be just as an effective teacher as someone enrolling at a large renowned university and paying so much more. I say thank you for making the course available to me. I liked the online format as I was able to study at my discretion, the trainer was easily accessible. The course has a vast wealth of knowledge, making me realize that I needed to enhance my knowledge and techniques. I thought the course was very manageable and informative. I appreciated the resources for future use in my career. Thanks! Telflen Training College at first appeared overwhelming. however by first understanding the navigation of the course and then applying myself to the given text. The test at the end of each module became easier to understand and answer correctly. Thank you for the enjoyable and pride earning challenge. I don't have anything to complain about it. The course was affordable and I was able to complete it at my own pace. I enjoyed it very much. This course was set up in an easy to follow and understandable method. I am appreciative of the fact that I could take it at my own pace. Great study experience with easy assessment methods. Did not find it difficult at all. Using Teflen online training college was an overall good experience, being able to complete it in my own time and being able to have as much time as I needed to read the course was of a huge benefit. My tutor was always there and responded very quickly to any problems I had. Great review of material that I learned in high school and college. I believe that the 40 hour course is a great beginner course for being able to teach English! The course work was easy to follow and the trainer was extremely accessible. I would recommend this to a friend. Overall a pleasant and fulfilling experience. It had it's challenges but very informative and helpful, I have more respect for teachers knowing what they have to go thru. My Trainer was the best, any question I had he always answered in a timely manner. The course content flowed well and was interesting. I genuinely feel as though I have learnt a lot. My teacher, was very quick to respond to my queries, and gave valuable feedback on my assignments. I feel that this Master 150 hour TEFL course has greatly prepared me for a position as an English Language teacher. The course materials provided in this program elaborated on specific criteria necessary for each level and student. My trainer was available and quick to help in the areas I had questions. His feedback was always supportive and helpful. I feel ready to begin teaching English, preferably CLIL in art and design as that was my career focus in college, as well as Visual Anthropology. I completed the 150 hour Master course during the month of January 2015 and it was a great way to start the new year. I actually really enjoyed this English course. I think the lessons are very practical & significant. The online trainer was exceptionally supportive. The online platform, in combination with the easy to follow modules in this specific 150 hour Teflen course, allow for an authentic accelerated learning experience. Thanks! Was mostly impressed by how prompt my trainer got back to me. His feedback was detailed and concise and effective. I thought that the course was great. It was very user friendly and I could work at my own place. I didn't require any assistance but it was comforting to know that I had some help if I needed it.